Infographics is graphical image that contain data or knowledge to understand clearly and quickly. Legends said 1 picture is equal to 1000 words that's the way, inforgraphics are better way to explain your points and statistics to readers and customers.Previously the infographics commonly used in newspaper but in social media world infrographics getting more popular. Canva is a one of the best tool to create beautiful inforgraphics easily without any graphical knowledge. It has more than 50,000 templates in multiple category. This free tool also available in paid version which includes some extra features like 4 lacks free photos and illustrations. Another popular and useful tool to create infographics easily. 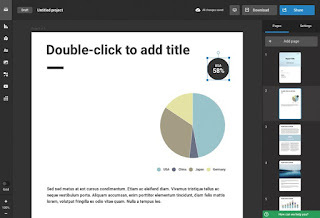 With this tool you can create infographics, Presentations, Reports, Flyers and posters with out technical knowledge. Just choose the template and type the information you want and just arrange it with your mouse. That's all your infographic will be ready. This also available in both free and paid versions. Vennage is a one more best tool in this category. you can create infographics with just 3 simple steps. Choose a template, add your maps and visualize and customize the infographic as you want. 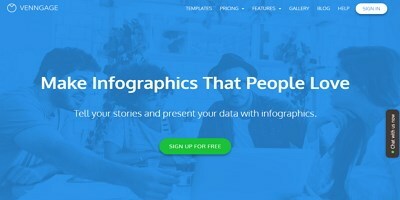 And finally Infogram is an one better tool to create lot infographics easily. After finishing it you can directly share with social media sites like facebook, pinterst and more. I think the above five service will satisfy your requirements . (or) If you find any better service please write in comments.